The PRDnationwide Corporate Team are a group of specialists ready to assist with all enquiries and service our franchisees. In September 2011 Tony was appointed as Chairman and Managing Director of PRDnationwide, after holding the position of Non-Executive Chairman since 2009. While in the position of Chairman and Managing Director he has assisted and overseen the acquisition of the Jens Gaunt Brand in Victoria and more recently the United brand in the States. Tony was previously the Chief Executive Officer of Colliers International and was responsible for all agency divisions, nationally. Tony is a strategic and experienced business executive who will drive PRDnationwide forward in a competitive environment. Todd first commenced with the PRDnationwide Group in 2005 where he originally worked at the Northmead Office before holding a number of management positions at Head Office including Business Development Manager, Business Consultant and Franchise Director overseeing the States of New South Wales, Victoria and Tasmania. In July 2015, Todd was appointed to the role of National Franchise Director. With over 26 years’ experience in Real Estate, Todd brings strengths in strategic thinking, financial management and sales mentoring to help build the success of the PRDnationwide Franchise Network. 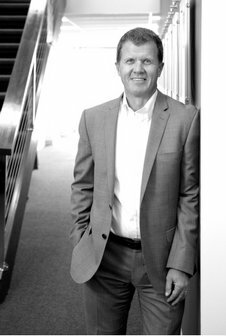 Greg began in real estate in 1993 as a sales consultant for Century 21 and within a year, became part owner and Principal of PRD Realty Jindalee in Brisbane. Greg then joined the PRDnationwide National Franchise Services team as Financial Controller before becoming Principal and part owner of PRDnationwide Bulimba. Greg left in August 2006 to pursue other real estate business ventures and returned to PRDnationwide in June 2010 where he held the position of Business Consultant for 3½ years. In January 2014 he was appointed as Franchise Director overseeing the management of the State of Queensland. David is a Senior Executive with 20-years management experience driving real estate operations to deliver exceptional performance. 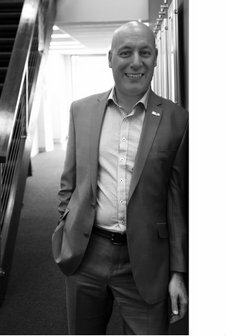 David has a range of expertise to support PRDnationwide operational development with experience across strategic planning, business structuring, financial management, leadership and training. He is well know as a change agent driving innovation and engagement. David’s real estate expertise includes: Sales Training, Customer Service Delivery, Auctioneering, Commercial & Residential real estate. As a current member of the EAC Board( Estate Agents Cooperative), he is committed to assisting the industry to deliver change and drive the Real Estate industry forward. 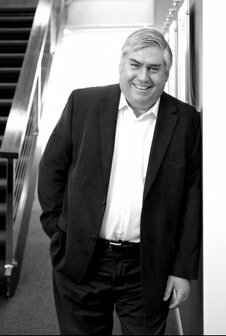 Having owned his own real estate businesses, Laing + Simmons Randwick and Century 21 Neutral Bay, along with experience as a Business Development Manager, John has extensive knowledge in Sales and Marketing as well as the Real Estate Industry. John has experience across roles as Sales Manager, Property Manager, Principal and Business Development Manager. John’s experience in Sales and Marketing has fine-tuned his communication skills that are critical to the closing of Business transactions. John also has a strong eye for finding opportunities in the market and coupled with his knowledge of market trends and legal requirements has led to a strong sales history. 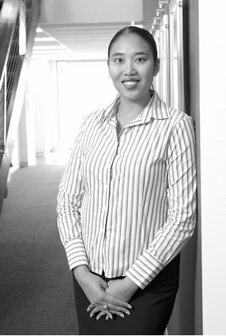 Suzie began with PRDnationwide in February 2016, and brings over 14 years of experience across the full spectrum of marketing disciplines. She brings a wealth of knowledge at a management level covering strategy, branding, digital, research, tracking and analytics, customer loyalty and members, events and activations, sponsorships, Public Relations and product development and packaging. Suzie’s passion for innovation and results will ensure PRDnationwide and its Franchise Network remain on the forefront of marketing strategies. 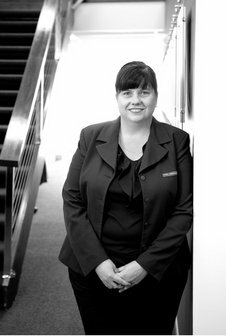 Having worked in the legal profession for 18 years, Mary brings a wealth of knowledge and experience essential to the effective and efficient operations of the business. Commencing with PRDnationwide in February 2007 as Office Manager, Mary’s role oversees the transition of all new offices and she has led the establishment of processes for this transition. She has also assisted in developing the administration processes for finance, awards, rankings and business development. Mary is committed to finding innovative solutions to any problem which may arise, ensuring the business maintains its positive momentum. As National Research of PRDnationwide, Asti leads a nation-wide research team that provides high quality property, housing, and (predominantly) residential market research to all 115 franchises, government departments, private and non-profit organisations, and private investors. She also delivers property research reports to 500+ USA real estate agencies, under the PRDNationwide - United Real Estate partnership. Asti brings a high level of understanding of public policy advocacy issues; strategic thinking; and high level research, analytics and evaluation to the PRDnationwide team, continuing to drive one of the organisation’s key strengths through our research outputs.